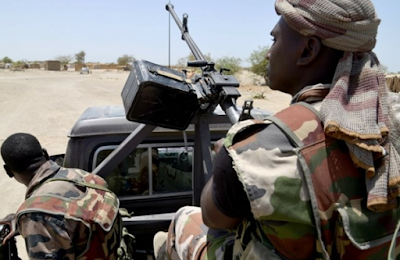 Not less than 7 soldiers died in a new attack carried out by Boko Haram in Borno state. On Wednesday, the supporters of Al Barnawi attacked Nigerian soldiers in Gajiram. Residents of Gajiram were said to have fled for their lives. Al-Barnawi had earlier vowed to hit only “hard” targets such as the military barracks and police stations. In another development, the leader of Boko Haram main faction, Shekau announced in a new audio tape recorded in Hausa language that he has executed his spokesperson, Abu Zinnira aka Tasiu for betraying him. He added that Tasiu and a few others were plotting to oust him from Boko Haram’s leadership. Rip to the gallant soldiers.